Battery specialist ECOBAT Battery Technologies (EBT), has raised the concern that the increased use of lithium-ion batteries in forklifts may not be the utopia that many are suggesting. HSS editor Simon Duddy recently met with EBT Industrial to talk batteries. 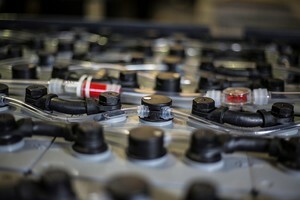 “End users switching to lithium powered batteries could be lulled into thinking their battery responsibilities are over,” says Derek Anderson, strategic director, “which, no matter how good the battery solution, is never going to be the reality. There is also the issue of control, as forklift manufacturers prefer to service their own products. 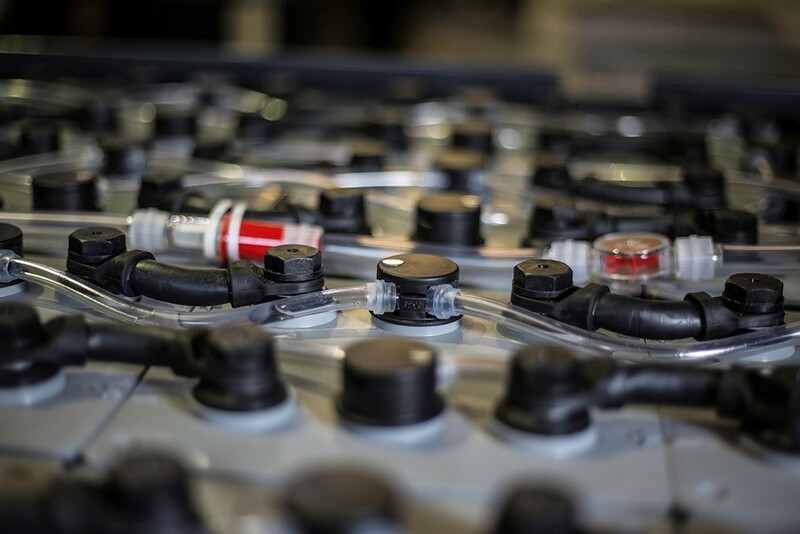 EBT Industrial is an independent battery supplier and service provider that has made its name by adding value to end users by boosting the performance of their battery solutions. 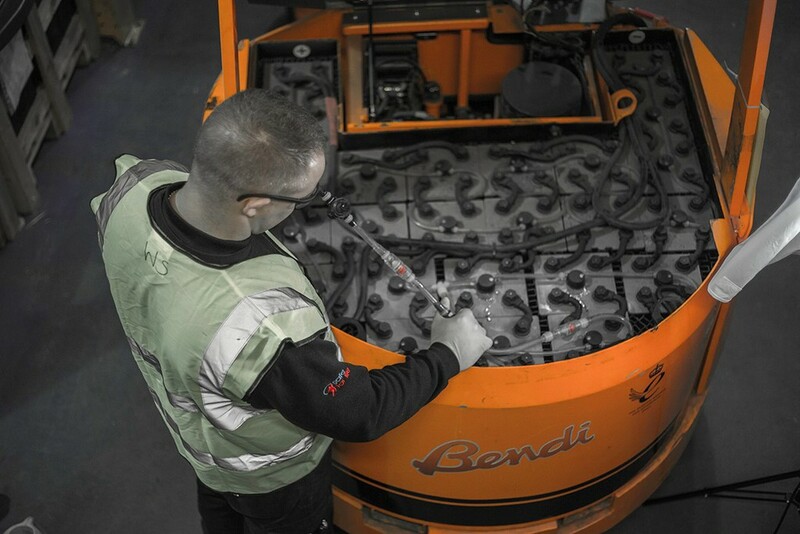 “Due to the software involved in the battery management system of a lithium powered forklift, not everyone will be able to work on the battery for example. In the automotive sector there are protocols in place via Block Exemption Regulation, allowing independent dealers access to manufacturer developed systems, but so far, that isn’t the case with forklifts,” says Derek. While EBT Industrial says it is currently not investing heavily in lithium-ion, it recognises the need to be a part of it and has plans to bring its own lithium-ion pack to market by the end of the year. Derek adds that lithium technologies are unlikely to mean ‘job done’ for batteries. 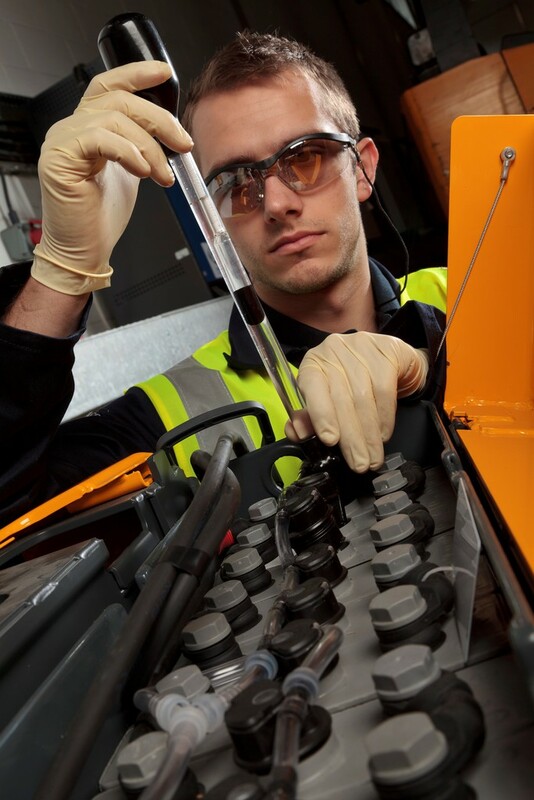 EBT Industrial sees its key strengths as offering a comprehensive and customer focussed, aftermarket and OE service. 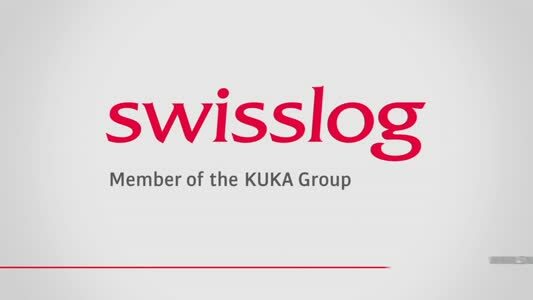 Ingrid says: “We are here to provide support all through the contract and can help customers extend the life of their forklifts for a few extra years beyond the traditional five years. Lead-acid batteries are 99%+ recyclable and as a manufacturer and recycler of lead, the ECOBAT group also offers a closed loop recycling solution, which allows EBT to provide a full solution to larger customers, who are very aware of the lifecycle of products.